Kimleang, our 1st year scholarship student tells us about Pchum Ben, Cambodia’s upcoming festival where families pay their respects to deceased relatives. My family always enjoys Pchum Ben; it is one of the best holidays of the year. Before the festival arrives, we always spend time preparing and buying things. Every year, when we see him, my grandfather always tells us the story of Pchum Ben. Pchum Ben, the ‘ancestor’s festival’, is a Cambodian religious festival celebrated by Buddhists. It is one of the longest festivals in Cambodia, lasting for fifteen days. A Ben is an offering. The first fourteen days are called Kan Ben, where villages take turns making offerings, and the last day is Ben Thom, great offering, where all families go to the pagoda to make an offering. Pchum Ben is celebrated every year at the beginning of the 10th month, Phutrobot, of the Khmer calendar. During the fourteen days of Ken Ben villages take turns bringing food to the temples and pagodas. The last four days of Pchum Ben are public holidays in Cambodia and most Khmer people will visit the province where they were born for family reunions. The fifteenth days, Ben Thom, is the special day when all families bring overflowing baskets of flowers, and children offer food, sticky rice cake and presents to the monks. It is a colorful festival and everyone is dressed in their best clothes, women wear bright colored silk scarves, blouses and dresses. During the festival, special rice offerings are made called ‘Bay Bens’. Bay Bens are balls of sticky rice cooked in coconut milk with various ingredients depending on local customs. 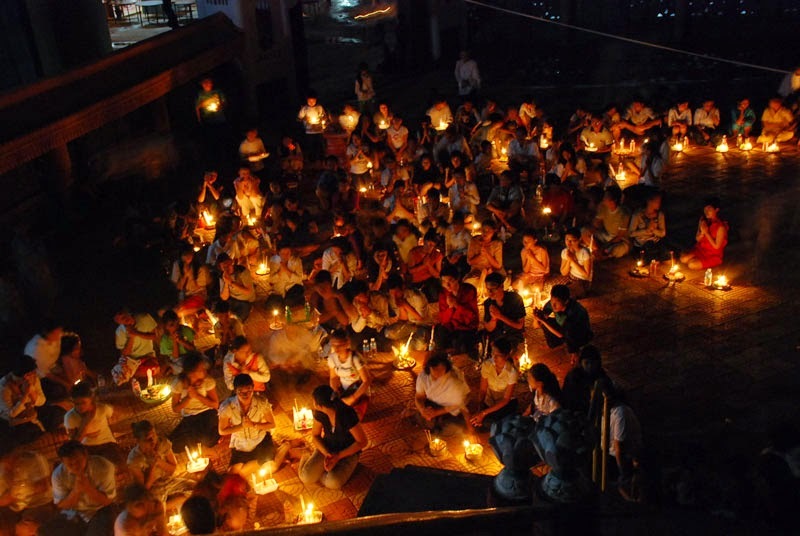 Cambodians celebrate Pchum Ben because they believes that after death they become ghosts whose earthly actions shape their appearance and that they walk the earth at this time. Everyone prays to help their ancestors pass on to a better life. According to Khmer belief, people who do not follow the practices of Pchum Ben will be cursed by angry ancestors. The living relatives ease their sufferings by offering them food. 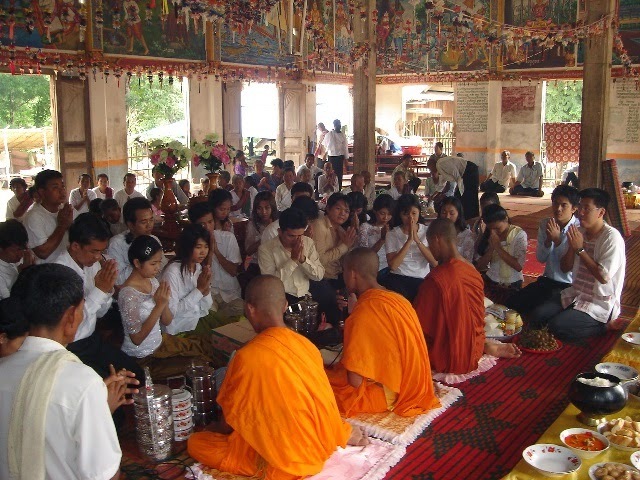 People also make offerings of money, dresses and other items to the monks in the pagoda. The offerings made are shared by the poor and the disabled during Pchum Ben. I hope that all of you enjoyed learning about Pchum Ben and understand more clearly about Cambodia culture. I wish all of you and your family all the best like my family too.